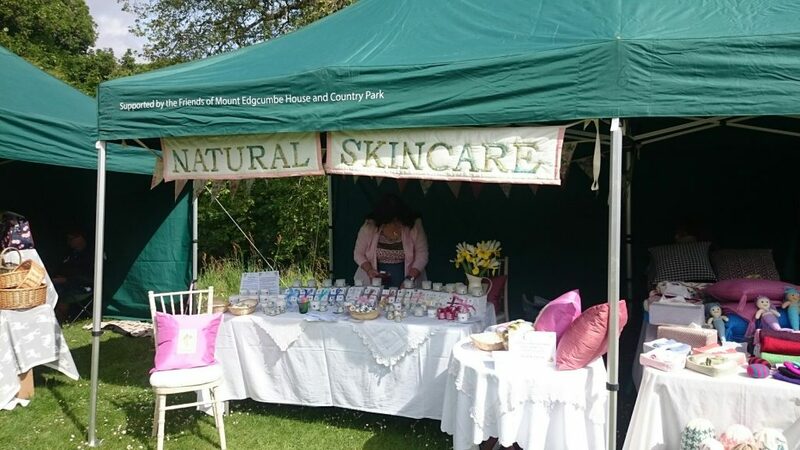 I spent the day at Mount Edgecumbe Home and Garden event, I met lots of lovely people, amazing how many people are struggling with various skin problems. Setting up the stall is a learning experience, I might master the knack one of these days. It was sunny but the wind was a bit breezy resulting in the occasional blast through the stalls and various items flying off, and various stall holders chasing items across the grass. Absolute joy to watch the dogs I think there were almost as many dogs as people, a huge variety of all shapes and sizes from a wonderful English Bull Dog strolling along, to Cockapoo’s leaping about. A good day and I’m looking forward to going back for the summer festival.